Welcome back, Mark Hamill. 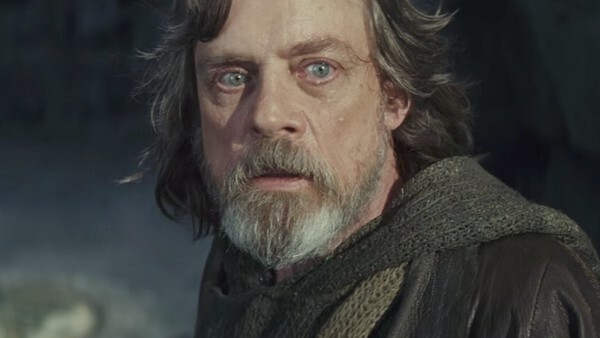 The actor may have reprised his role as Luke Skywalker in The Force Awakens, but it's here he truly returns to the character that made him famous, and also here he gives his best performance in the role. This new Luke is an aged, broken warrior figure who has all but given up on the legend of Luke Skywalker. He's grumpy, fearful, and frustrating, but also strong,, brave, and a beacon of hope. His scars from what happened with Kylo Ren are visible, but we're also allowed to see the old Luke that still exists deep down. There are nostalgic flashes within the latter part, but it's done in a way that feels natural and without breaking who he's become, which is a fascinating, complex, regretful, and conflicted old man, and it's wonderfully written and perfectly played by Hamill.